John Matheussen, president of PATCO, surveys the closed Franklin Square station. 7/26/07. (Michael S. Wirtz / Inquirer). The Franklin Square station on the PATCO line in Old City is a ghost station, closed since 1979. There is talk of reopening it as part of a possible expansion of PATCO. It’s a railfan’s dream come true! 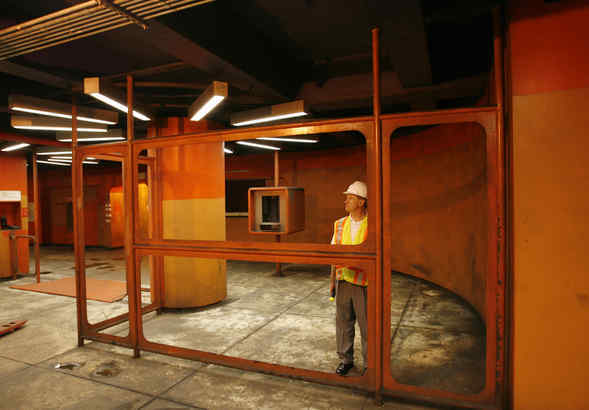 The Franklin Square subway station may be reopening! All those years of passing through it – its silence deafening – left me wondering if it would ever see passengers again. Well it just may! The 73-year-old subway station beneath Franklin Square, last used in 1979, will be remodeled and reopened to PATCO commuter trains, Delaware River Port Authority chairman John Estey said yesterday. Four other subterranean PATCO stations in Philadelphia and two in Camden also will get face-lifts this year, with new flooring, lights, security cameras, and stainless-steel columns, port authority officials said yesterday. The upgrades, which require board approval next month, will cost about $9.6 million and be paid for with the agency’s controversial “economic development” money. The port authority’s consulting engineers are examining the station to determine how much work is needed to reopen it. Chief executive John Matheussen estimated it would cost at least $5 million to $10 million to install elevators and make the station meet modern standards. Franklin Square Station has been preserved much as it was when it closed. PATCO riders can still glimpse its shadowy platforms and green-and-white tiled walls on their way to and from New Jersey. But the gaudy orange foyer, with its 1970s-era fare lists (35 cents to Philadelphia stations, 75 cents to Lindenwold) and multilingual instructions on “How to Go PATCO,” have long been hidden from view. 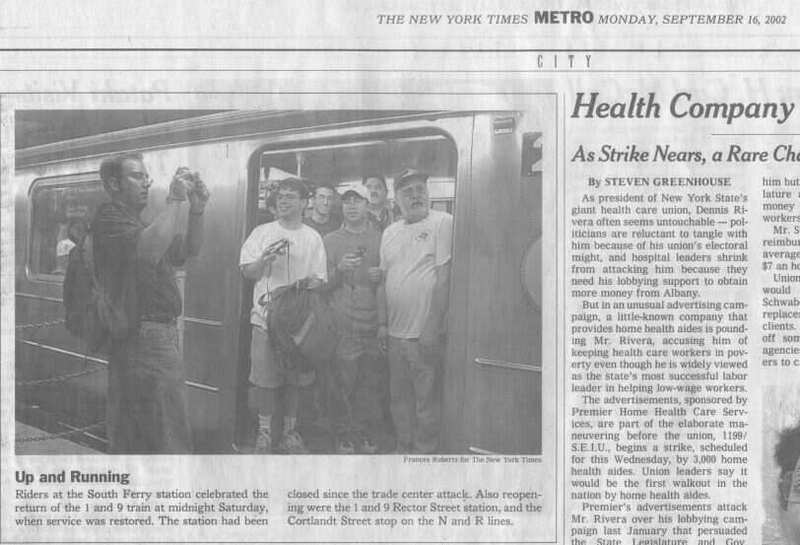 The article goes on to give a brief history of the station. It’s well worth the read. The Transport Politic also mentions a plan to reopen the Spring Garden station on SEPTA’s Broad Ridge Spur and also extend the route of the Spur trains into the Locust Street subway. Eastbound platform at Franklin Square station (abandoned) on PATCO as seen on 8/11/2003. Westbound platform at Franklin Square station (abandoned) on PATCO as seen on 12/29/2008. NJ TRANSIT and the Greater Philadelphia Tourism Marketing Corporation are partnering to promote the ease of traveling between Philadelphia and New York—via NJ TRANSIT and SEPTA. NJ TRANSIT and SEPTA recently introduced joint-ticketing options that enable customers to purchase NJ TRANSIT and SEPTA tickets in a single transaction. To highlight the joint ticket, today, February 10, a pajama-clad street team known as the “PJ Love Patrol” will be on hand in New York Penn Station from 3 p.m. to 7 p.m. as part of the Greater Philadelphia Tourism Marketing Corporation’s (GPTMC) promotion of the Philly Overnight® Hotel Package. Photos to be posted later…?